Engineered wood, also called composite wood, man-made wood, or manufactured board; includes a range of derivative wood products which are manufactured by binding the strands, particles, fibers, or veneers of wood, together with adhesives, to form composite materials. These products are engineered to precise design specifications which are tested to meet national or international standards. Engineered wood products are used in a variety of applications, from home construction to commercial buildings to industrial products. The products can be used for joists and beams that replace steel in many building projects. 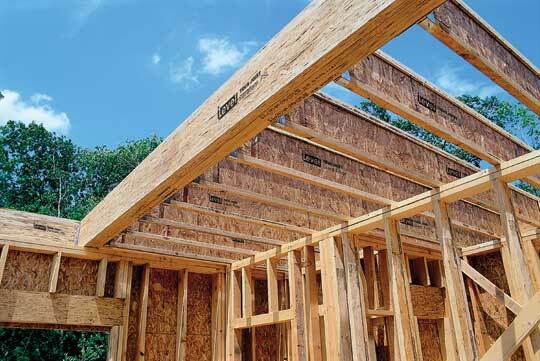 Country Lumber is proud to offer an extensive line of TJI Joists, Microllam, Parallam & Timberstrand. We can also order in Glu-lam and Steel Beams for your specialty projects. Glulam (glued-laminated timber) is a structural timber product manufactured by gluing together individual pieces of dimension lumber under controlled conditions. The attributes of this wood product account for its frequent use as an attractive architectural and structural building material. Architectural appearance grade Parallam® is a premier engineered lumber product. Parallam®'s superior strength, reliability and natural beauty help you create heavy timber structures of beauty and quality. Parallam® is engineered to support heavy loads and is often the ideal choice for load-bearing beams. In addition, because of Parallam®'s attractive wood grain, builders have the option of leaving this engineered lumber exposed as an aesthetic feature. For 13 years straight years, Trus Joist® TJI® joists have been recognized by readers of Builder magazine as the engineered I joist most often used and as the highest quality available. Engineered to provide strength and consistency, these joists are a key part of making a high-performance floor. The dimensional stability of TJI joists helps them resist the warping, twisting, and shrinking that can lead to squeaky floors. 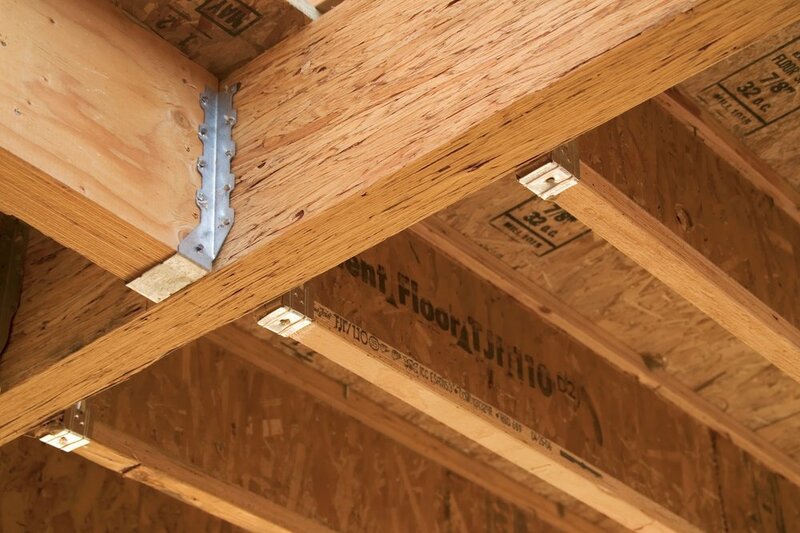 TJI joists are light weight and come in lengths up to 60', which makes them faster and easier to install than traditional framing and saves you both time and money. Microllam LVL beams work well in applications all over the house. They can easily be built-up on site to cut down on the heavy lifting associated with beams. Made from proven Microllam laminated veneer lumber (LVL) they install quickly, are very stable and resist warping, splitting and shrinking. The TimberStrand® Laminated Strand Lumber (LSL) manufacturing process combines technology and innovation to produce high-performing engineered lumber. The process uses small-diameter, plentiful trees that are not strong or straight enough to be of structural value as conventional sawn lumber products. The wood is cut into thin strands and then glued together in a proprietary steam-injection process. The result is a large billet that can be milled into a wide range of building products for applications such as rim board, headers, beams, columns, studs, sill plates, and stair stringers. The TJ Shear Brace is a tested performer against seismic activity and high winds. It is easy to install and trim on the jobsite. Its trimmability makes the TJ Shear Brace an ideal solution for rake walls and gives the ability to easily handle everyday jobsite modifications. All braces can be trimmed down to 74.5".